ABC News reports that the Office of Management and Budget is reviewing an executive change to the Fair Labor Standards Act (FLSA) that would raise the threshold for how much money employees can make before being exempt from overtime rules. The exact amount is still undetermined, but it is speculated the rule would nearly double the threshold from $23,660 – to as much as $52,000. While this would technically extend time and a half overtime pay for workers, it would also put huge, costly roadblocks in the daily operations of the nation’s workplace settings. Restaurants in particular would fall heavy victim to the heavy-handed government revision. Jamie Richardson, a White Castle Vice President and Job Creators Network member testified this week before the House Education and Workforce Committee’s Subcommittee on Workforce Protections which had been reviewing the law. He told the panel that FLSA is a Depression-era law that needs updating to keep up with a 21st century economy, but modernizing the law at the expense of a company’s employer-employee relationship is not the right approach. 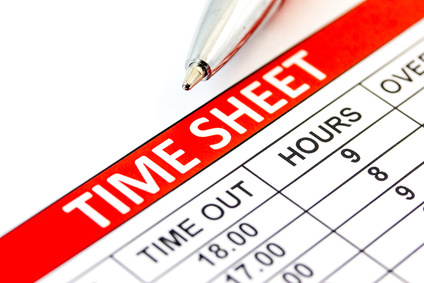 A study commissioned by the National Retail Federation called “Rethinking Overtime” found that raising the wage threshold to more than $51,000 per year would require overtime pay for 2.2 million more people in the retail and restaurant industry. The study calculated the rule would cost these employers $9.5 billion per year. Even a more modest increase to the overtime threshold to $31,720 would cost companies $1.1 billion each year and affect 800,000 workers. There is also speculation the rule would narrow the definition of “manager” – a title also included in the so-called “white collar exemption” of overtime – thus making more “managers” eligible for overtime pay. Then there is the administrative burden. The study calculates the $51,000 threshold would cost businesses $900 million to obey, and $300 million under the more modest $31,700. These costs would include updating payroll systems to convert salaried employees to hourly, tracking time, and ending incentive payments or bonus pools for workers who would become eligible for the overtime. Changes to the “outdated and complex” workplace framework covered by the FLSA should not burden America’s business owners with more government overreach. As with minimum wage mandates, pushing the overtime threshold too high could hurt employees by limiting opportunities for talent development and promotion within their companies. Simple math shows that making workers more expensive, especially in industries with low profit margins like restaurants, means there will be fewer of them.